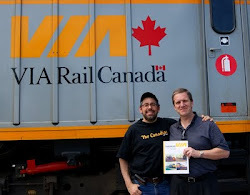 NEW VIA RAIL BOOK: It turned green! Highball! Now available! 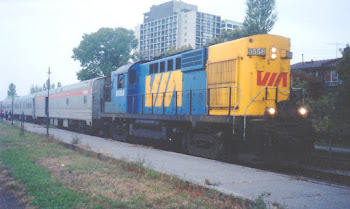 I'm proud to announce the launch of Trackside with VIA: Research and Recollections, my fourth book on VIA Rail. The idea for this book was planted last fall, and it's sprouted this spring. Professionally printed by Allan Graphics here in Kingston, with graphic design by Bryan Babcock, I'm especially proud of this fourth volume. It's perhaps the most 'personal' of the four. If a picture tells a thousand words, two Youtube videos should be worth quite a few more: What's In This Book? and Behind the Scenes. With 20 more pages than my second book published in 2012, including a 10-page colour section, there has been no price increase. And postage within Canada is still included in the price of $35! As with all my other books, I aim to keep the price reasonable, encouraging sharing of the information it contains. Getting it out there for posterity! The best place to check out all the details? 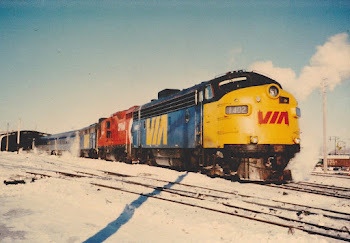 I encourage you to check out my New VIA Rail Book blog, which is at top right of Trackside Treasure's sidebar. There you'll find information on the book and its creation, but more importantly my email address for Interac e-transfer through a Canadian financial institution, alternaively a printable order form if you'd care to order with a cheque or money order by snail mail in the US or Canada. 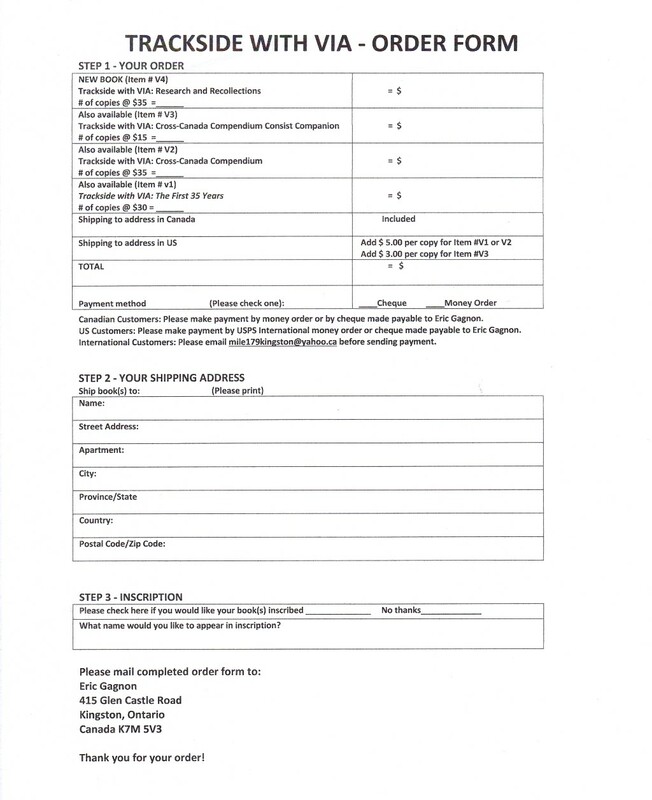 I usually ship within two business days when an order is received. Each book is shipped in a padded mailer with cardboard stiffener, and can be signed if desired. 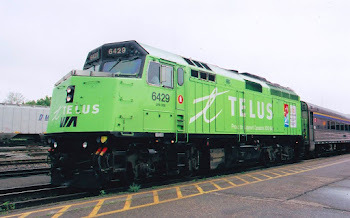 I'll be at Kingston station platform at 6 pm for a one-hour launch for local railfans. So how is this book different and why? Why does it deserve a place on your bookshelf? I think you'll find within its covers a nice mix of text, data and photos. Maybe you can find some of this information elsewhere. But it won't be all in one place for your perusal. And frankly, some of this information is not available elsewhere. 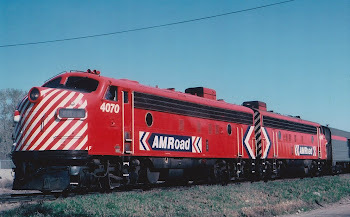 Not only is there research, data and photos of mine, but also of my contributor team: Tim Hayman, Don McQueen, Mark Perry and Mark Sampson brought their expertise in modelling, locomotives and VIA operations in Northern Manitoba and VIA's Canadian, respectively. Let's face it - there are very few books on VIA Rail out there. I've listed the only ones in existence in my first book, and I've added two published since then in this book. Now there is one more! Trip accounts from throughout VIA's history, and consists from 1981 to 2016 comprise the 'personal' parts of the book. Not knowing my Dad had saved consists that I'd lost track of (no pun intended), I've included them, plus accounts of VIA trips made by my parents, as well as photos of VIA operations taken by my Dad and my brother in the 1980's. All in one convenient package! Bryan was kind enough to deliver the first print run to my house, which we eagerly opened and posed for our graphic designer/book creator photo! Now that's service! Just got yer book yesterday, Eric! Another excellent volume! 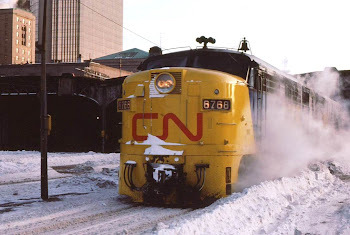 I especially like Mark Perry's anecdote, the Switching Schematics about the Corridor Canadian, and your trip reports. Thank you! Thanks, Elijah. The contributors added much to this volume. 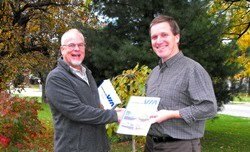 I was glad to have Mark pen some of his experiences for others to enjoy.